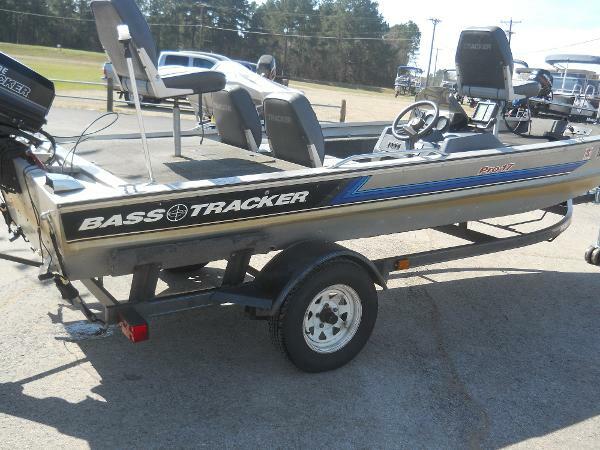 1993 Tracker Pro 17 This boat is a little rough around the edges but has good bones. The previous customer was told it needs a carb job. 1995 Tracker Pro 17 THE GREAT OUTDOORS MARINE - THE FUN STARTS HERE! 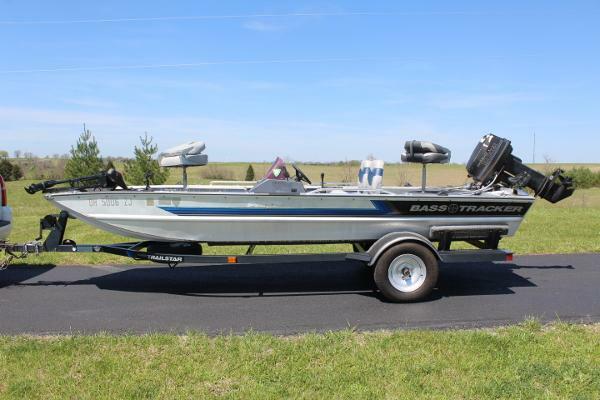 Our 1995 Tracker Pro 17 comes powered with a 1995 Mercury 60hp oil injected2-stroke outboard and comes with a custom-matched single axle trailer with aspare tire and storage cover. The boat has been well kept and interior is in good condition. The seats look newer - no tears or rips or fading. There is a Humminbird XP 4000 depth/fish finder at the console and a MotorGuide Pro Series 37# 12Vfoot-control trolling motor on the bow. There are two lockable storage boxes -1 is a lockable rod locker - on the bow. Aft deck you'll find a nice divided & aerated livewell. 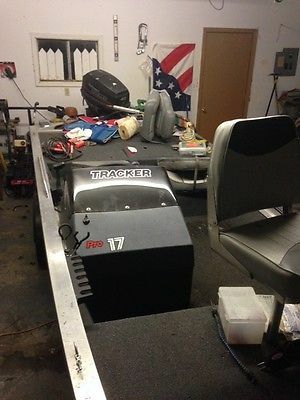 1992 Tracker Pro 17 Pre Owned 1992 Tracker Pro 17. 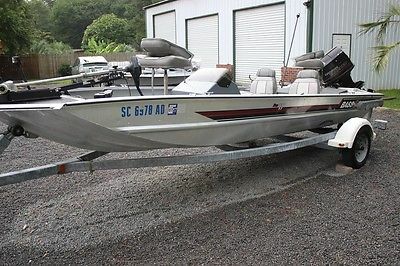 25hp Evinrude. Compression good. Runs great. 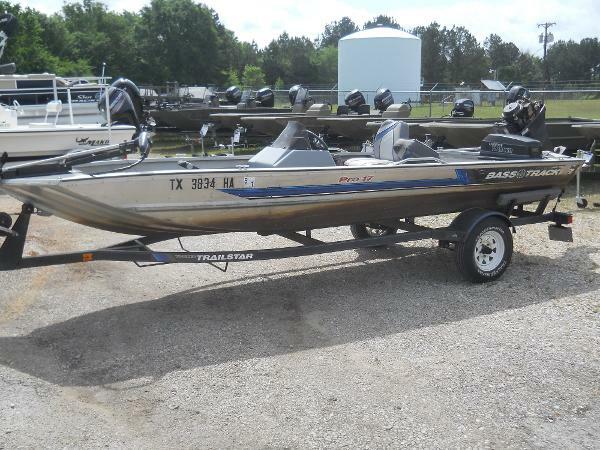 Trolling Motor, Fish Finder. Lake Ready. 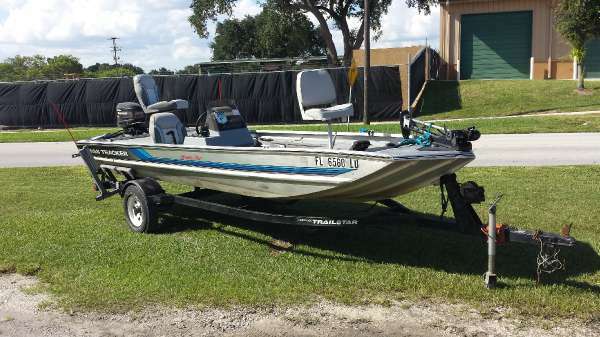 Nice little fishing rig. 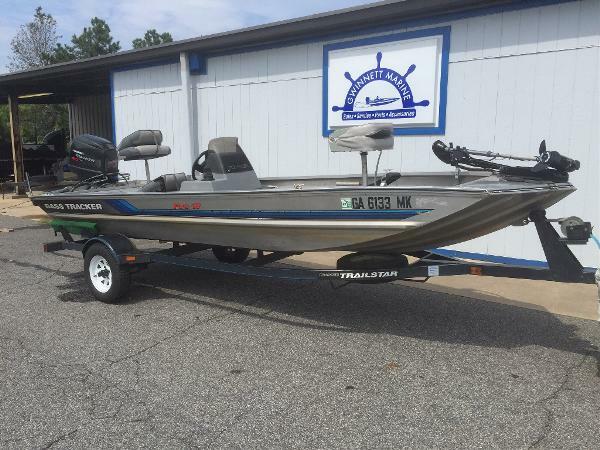 1990 17' Bass Tracker Pro w/ 1990 Evinrude 60HP Outboard & Trailer. Make Offer! 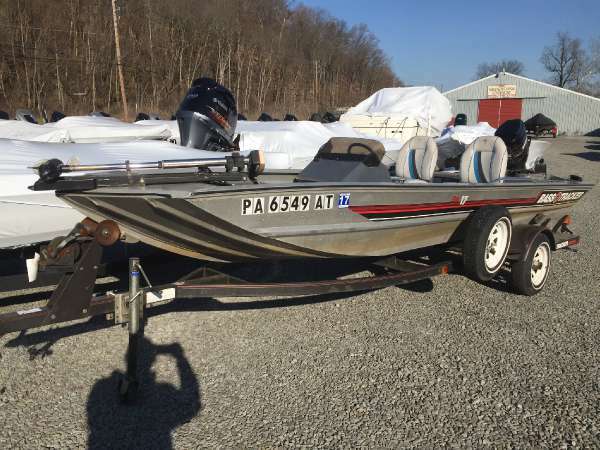 1989 Bass Tracker Pro 17 fishing boat; Johnson outboard 40 hp. 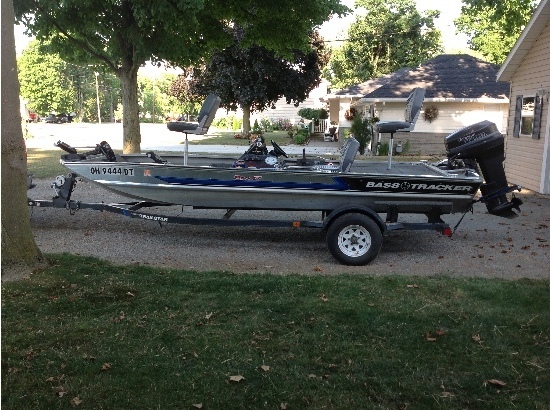 motor and a trolling motor; includes Tracker Marine towing trailer. 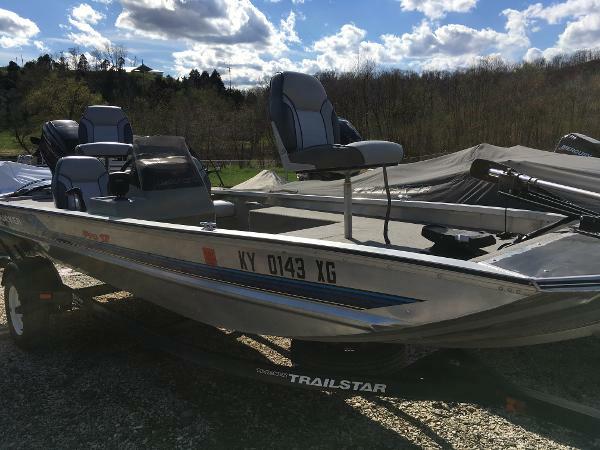 WITH THIS.....1991 SPECIAL EDITION ALUMINUM BASS TRACKER TX PRO-17 w/60HP JOHNSON MOTOR, Hummingbird Graph & Eagle Graph.......YOU'RE ALL READY!!! 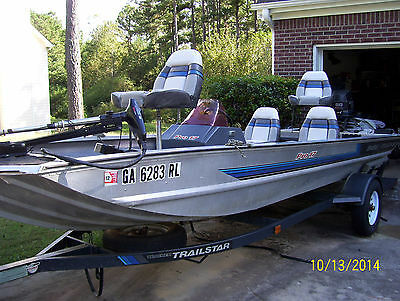 THIS PURCHASE INCLUDES: 17-FT ALUMINIUM BASS BOAT (Right Side Console) 60HP JOHNSON OUTBOARD MOTOR, w/TOTER & MUFF/FLUSHER TRACKER SERIES-28 FOOT CONTROL TROLLING MOTOR (w/Owners Manual) AERATED LIVEWELL 5 STORAGE COMPARTMENTS FISHING ROD STORAGE COMPARTMENT 4 FISHING ROD HOLDERS NAVATION LIGHTS METAL ANCHOR, WOODEN PADDLE (4 to 6 LIFE VEST, FLOATING YELLOW DISTRESS FLAG, DISTRESS HORN, add’l safety/misc gear) CERTIFICATE OF ORIGIN FOR BOAT & TRAILER ORIGINAL BOAT & TRAILER PURCHASE DOCUMENTS TRACKER MARINE OWNER’S MANUALS EAGLE ULTRA II (+Owner’s Manual) HUMMINGBIRD PLATINUM ID (+Owner’s Manual) TRAILSTAR DRIVE-ON TRAILER (Brand New Tires & 1 Spare Tire) NEW BOAT COVER (10/2014) DNR BOAT REGISTRATION (exp 6/2016) TRAILER REGISTRATION & TAG (exp 6/2015) WINCH OPERATING/MAINTENANCE GUIDE PLEASE TAKE NOTE: Conyers Georgia area (exchange will be held in a public place such as a bank, etc.) $500 PayPal deposit due IMMEDIATELY after buyer ends my listing & BALANCE IS DUE 3-DAYS after buyer ends my listing. We can meet buyer 30-minutes from Conyers, Georgia; otherwise there will be an additional $300 up-front fee for delivery travel that's over 30-minutes but less than 1-hour one-way. And NO PAYMENT PLANS BEYOND the 3-DAYS ARE ACCEPTABLE! COMMUNICATION is of the upmost importance between us to avoid any misunderstandings. Boat has been owned for 10-yrs, hasn’t been on the water in the last 2-years//medical reasons, but am doing occasional ear-muff cold-starts to help keep “SILVARODA” starting good. 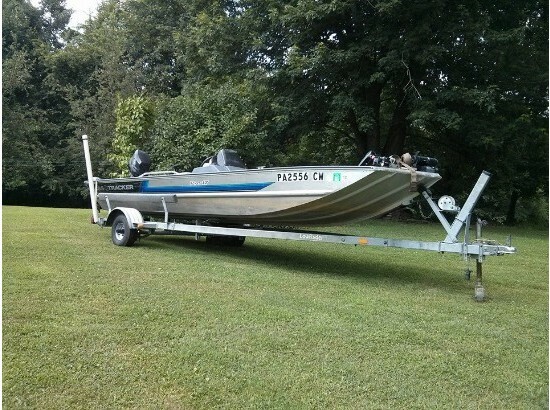 Stored in both garage and drive-way w/boat cover. Private seller, so no taxes apply. (2) Bill-of-Sales will be signed by Seller and Buyer before taking possession; it's just a copy for us both. ***SELLING AS-IS, NO WARRANTIES** ACCEPTED BEST OFFER PAYMENTS (Due within 3-days) ANY QUESTIONS or CONCERNS about this item?...plez email B4 B4 B4 bidding!! SAVE WHENEVER YOU SHOP eBay!! And most of all...have fun, let's treat each other fairly...and bid responsibly!